We started 25 years ago carrying Pro Form feeds, and still only carry this company’s product though it’s now renamed Trouw Nutrition The Hi Pro mill is BC’s largest feed mill and the only HCAAP accredited in the province. They have four full time nutritionists on staff to answer all your questions. Over the years of feeding animals, we have seen time and time again, that the quality of what you put in your animals is reflected in the results, whether it’s a champion racehorse or a healthy heavy weaner piglet or a high producing chicken, you will notice the difference too! Q Quality and function dictate what we carry. 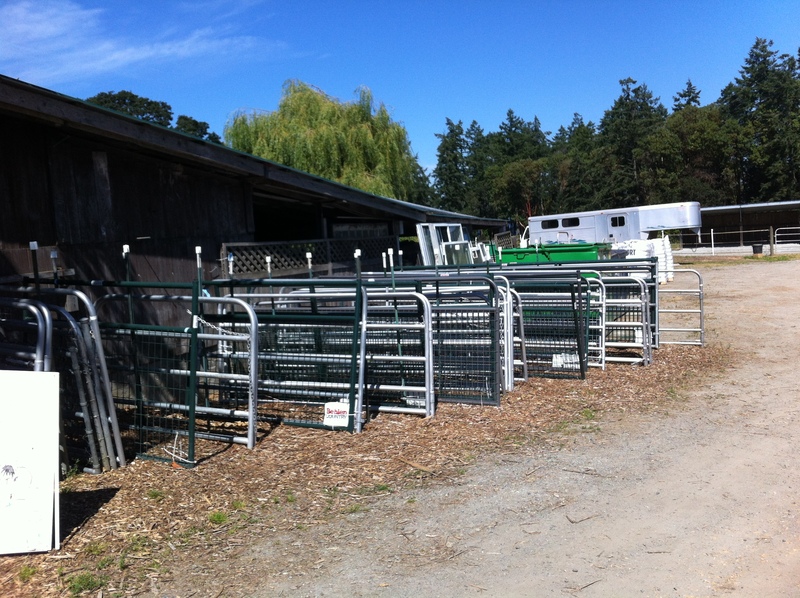 We carry a wide range of panels for everything on your farm from sheep, goats, chickens, dogs and big stock like horses and cattle. 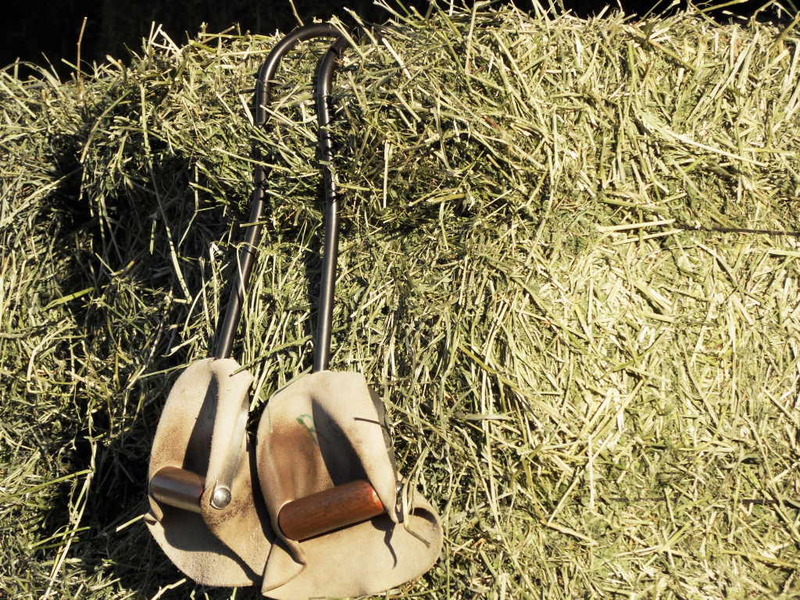 We have 50ft round pens for around $2000 These are very strong, safe for your horse, 10ft panels, welded center braces yet light enough to move to new locations on your farm. Currently in stock: Alfalfa, timothy, and straw. 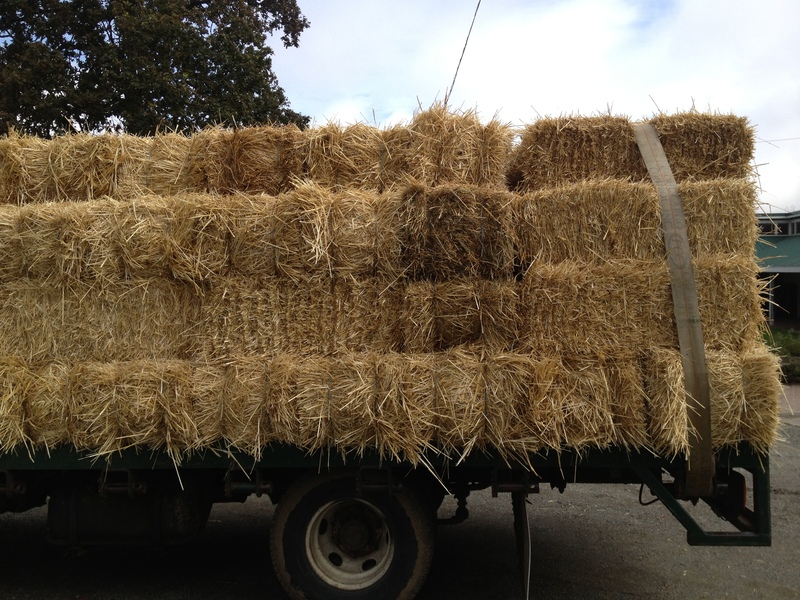 Straw, white soft wood baled shavings, stall bedding pellets and Healthi Straw. For keeping your stalls smelling sweet we have Stall Dri and Diatomaceous Earth, an organic compound for use in your home, garden, and stables. Just some of its uses include carpet deodorizer, compost enhancer, stall refresher, and chicken house mite killer. We carry Canadian made pet food from Canadian owned companies. We carry Pro Forms own brand of dog and cat food made from only N. American sourced products, By manufacturing direct to customers the price remains low This premium quality food is made in small batches at the mill in Chilliwack, ensuring a low carbon footprint too! We are the Island supplier of what we believe to be the best wheel barrow made. We are so convinced of this that we will refund your money if you buy one and find it doesn’t live up to your expectations after a week of use! 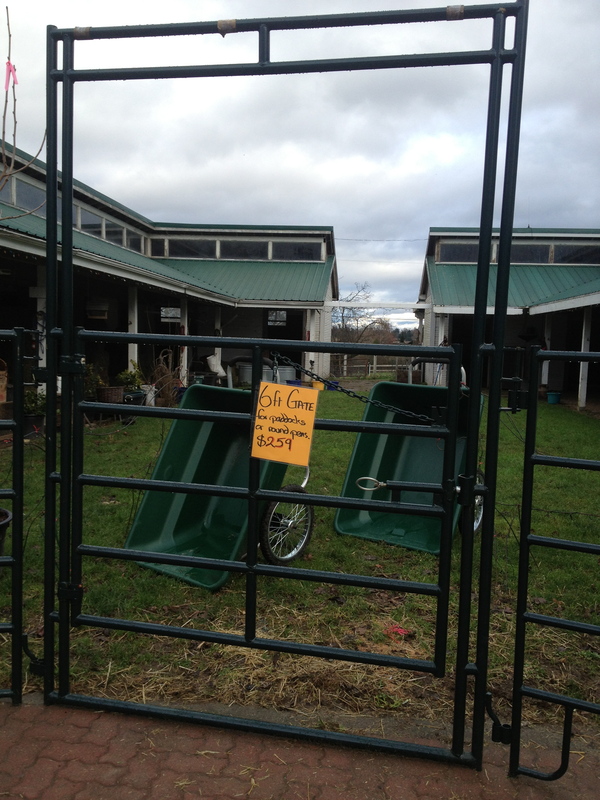 These barrows don’t end up in the trash pile, all parts are available for repair of worn or damaged barrows. 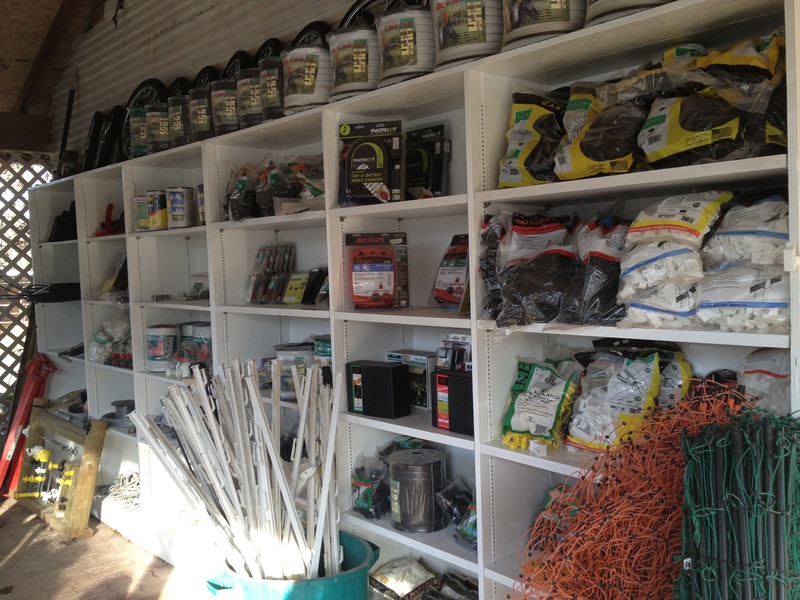 We are a dealer for Ferris Fencing and always have a wide range of electric fence materials and units available, backed up by Normans knowledgeable help when it comes to installing, trouble shooting or planning an installation. 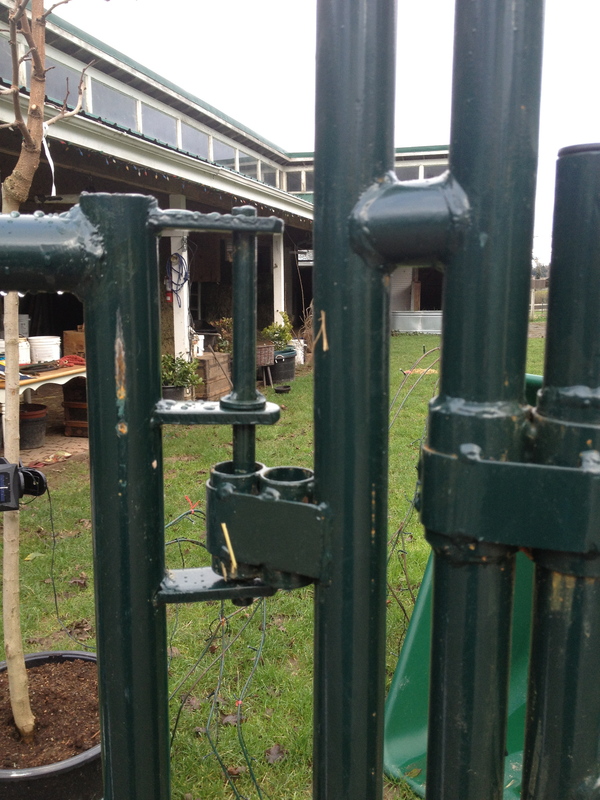 We love the safety, flexibility and effectiveness of a well installed electric fence system. 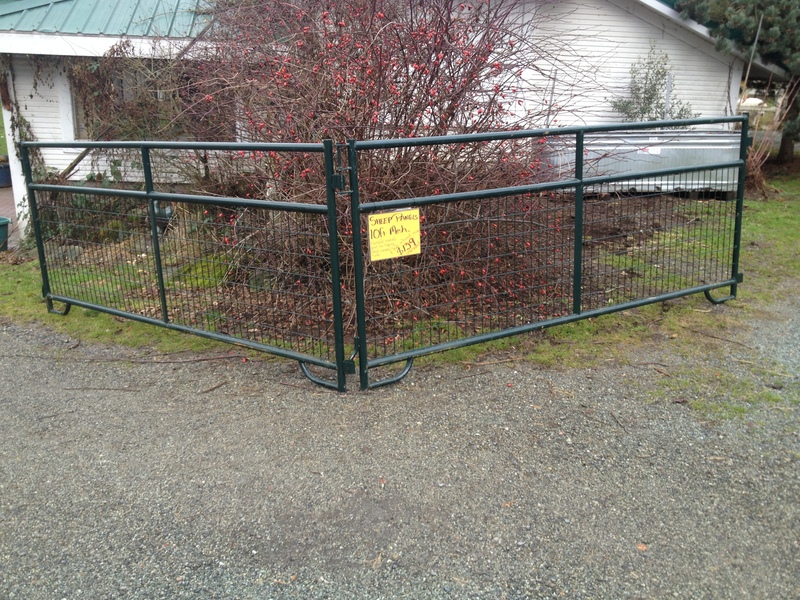 Gates from 4ft to 16ft.